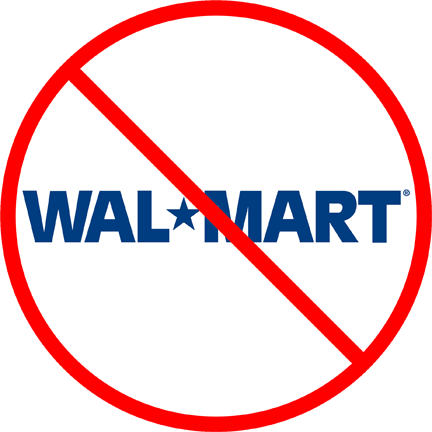 A couple of month ago, I wrote about the class action lawsuit pending against Wal-Mart. Unfortunately, the Supreme Court today ruled in favor of the megastore, and ultimately, sexism. Women fill 70 percent of the hourly jobs in the retailer’s stores but make up only 33 percent of management employees… the plaintiffs’ ‘largely uncontested descriptive statistics’ also show that women working in the company’s stores ‘are paid less than men in every region’ and ‘that the salary gap widens over time even for men and women hired into the same jobs at the same time. Justices Scalia, Roberts, Alito and Kennedy clearly think it’s appropriate for big businesses to systematically discriminate against women. It’s a sad day when the highest court in the land re-affirms sexism.